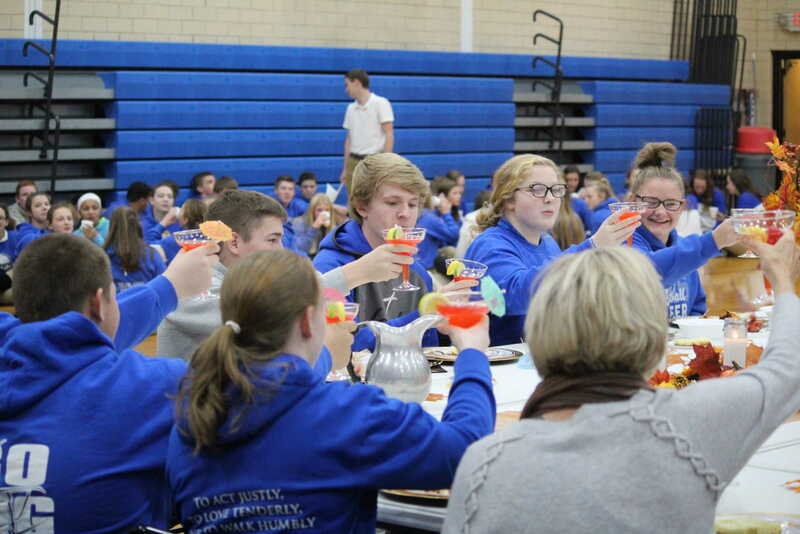 On November 20th, Remsen St. Mary’s students held a hunger banquet instead of their traditional Thanksgiving service. 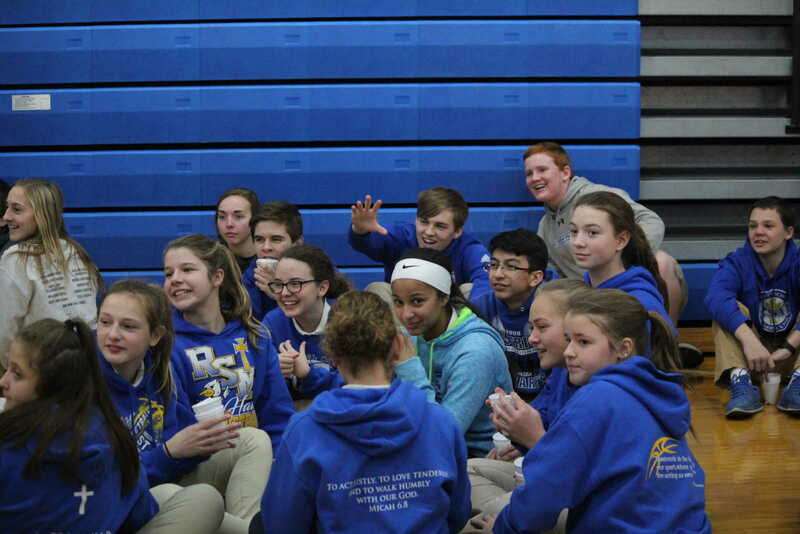 During the banquet, students were randomly assigned to the groups of low income, middle income, or high income to represent the different groups in the world. The high income group dined on salad, lasagna, bread sticks and cheesecake, while the middle income ate chicken noodle soup, and the low income only had a small portion of rice to eat with no utensils and sat on the floor. 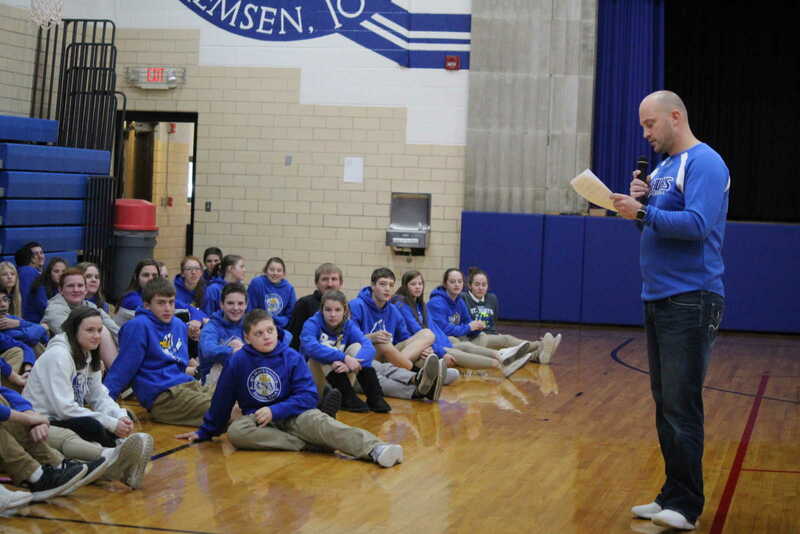 While they ate, students heard stories of different people in each group and even how some people were able to rise to a higher level or unfortunately fell to a lower level. Students representing those people also had to switch groups. The banquet was a great reminder of the blessings we enjoy, as everyone actually falls in the high income of the world. “I wanted to do something that people wouldn’t forget about. 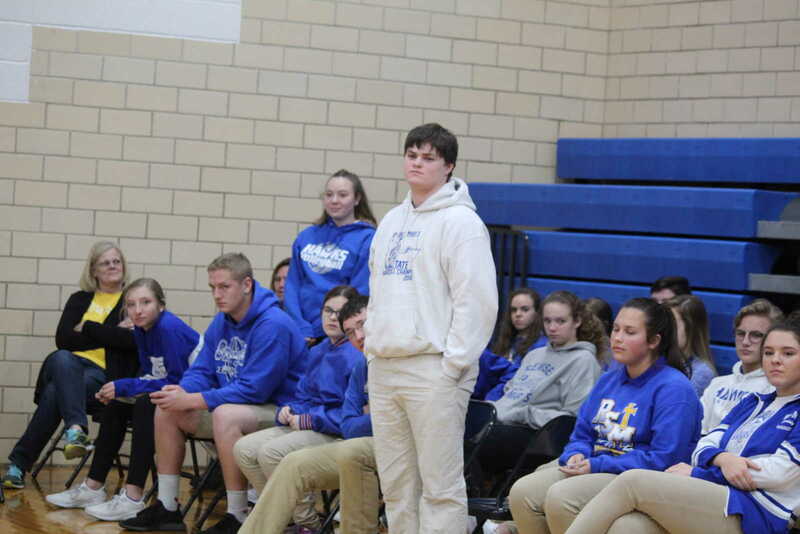 Something that would impact the people in our school,” said senior Brooklyn Frederes, who helped organize the banquet. “Not all people are fortunate enough to be able to celebrate the holidays like we do, so I felt the hunger banquet was a great way to humble the students and make them realize the blessings that they have in their lives.” As students departed to enjoy Thanksgiving break, everyone felt a greater appreciation for the things they have in their lives no matter what group they were placed in. Jeremy Bunkers MC'd the hunger banquet and explains the lives of the 60% of faculty and students who sit on the floor as low income. After finishing their cup of rice, students in low income beg their friends in high income for any leftovers that they were unable to finish. The high income group played their part and toast to their wealth as they enjoyed an extravagant meal and ignored the middle and low income around them. 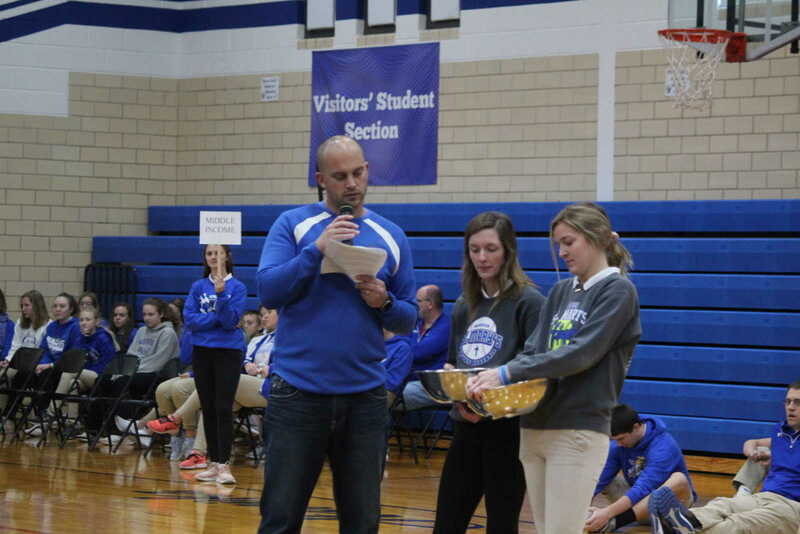 Jeremy Bunkers, Miranda Loutsch, and Brooklyn Frederes draw random numbers to determine which of the three income groups each person will be placed. Stephen Brazil stands nervously in middle income as he listens to learn that an injury and factory fire have pushed him to low income.